Having a major Gatsby moment. 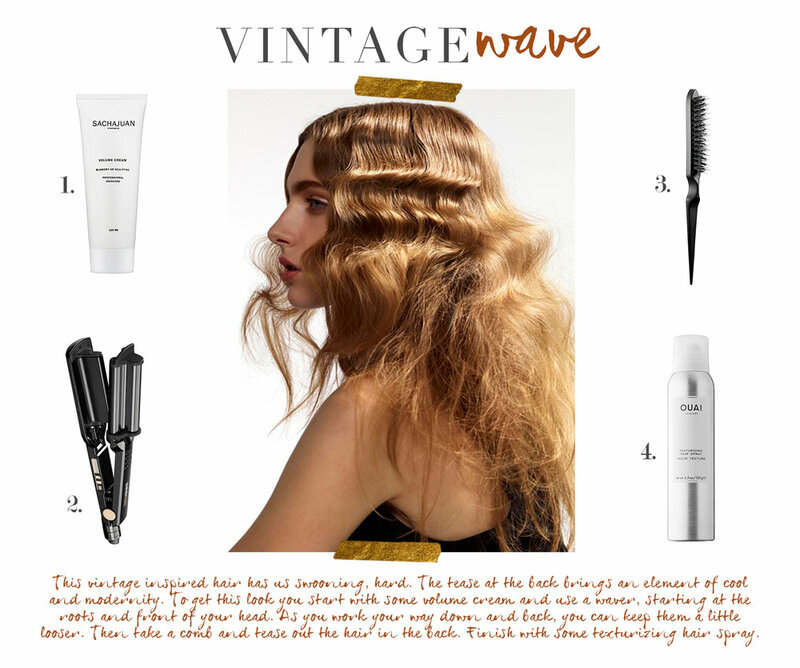 This vintage wave look is perfect for all of your holiday festivities and will have you looking so cool as we move into the new year. Start by working Sachajuan Volume Cream throughout your hair, while using Babyliss Pro Deep Waver Tool from the roots to the front of your head. This will create tight waves. Then, take the Bump Boar Teaser to comb and tease as you please. Finsih with Ouai Texturizing Hairspray.